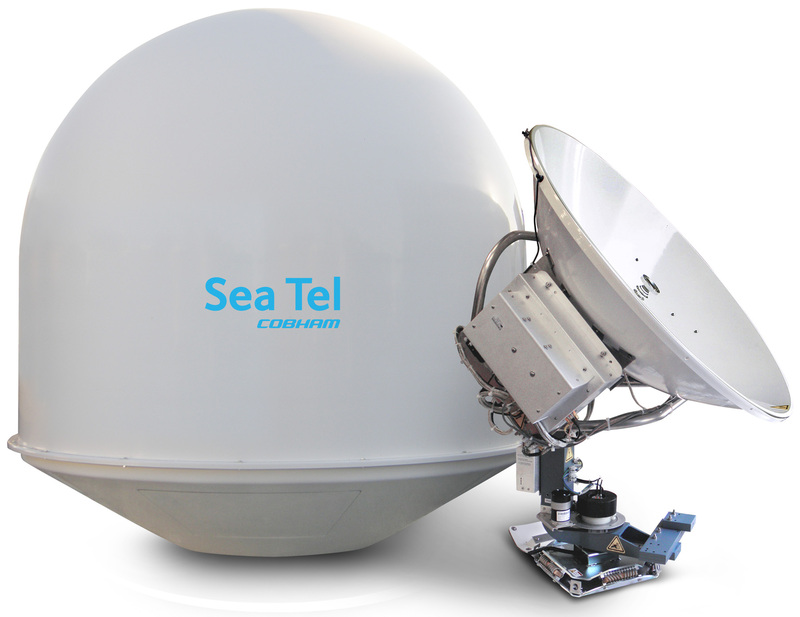 The new SeaTel 4010 and 5010, 1 meter and 1.2 meter Ku Band antennas are lighter versions of the 4009 and 5009 with a significant reduction in price. While the 4009 antennas were designed to endure extreme shock and vibration in high sea conditions, many vessels do not routinely encounter such waters and do not require the costly pneumatic shock absorbers or the sophisticated isolation features of the XX09 series. The new 4010 and 5010 antennas are a simplified version suited for vessels sailing in normal conditions. The XX10 antennas combine the new technology of the XX09 electronics with some of the proven, simpler features of the 4006 and 4003 technologies like the conventional J post and a choice between waveguide or coaxial transmit feed. So, if you do not expect your vessel to experience the harshest sea conditions, you can pick and choose the features that are important to you, without paying for the ruggedized features that you may never need. 23326 visits to this page since 28 Nov 2012.